王莹, 蔡威. 橄榄油脂肪乳剂的研究进展 [J]. 上海交通大学学报 ( 医学版), 2012 , 32 (1) :107-110. Woodyatt PD, Sansum WD, Wilder RM. Prologed and accurately timed i.v. injections of sugar; a prelimiary report[J]. JAMA, 1915, 65:2067. MacFie J. The development of fat emulsions[J]. Nutrition, 1999, 641-645. 李喆, 张兰军, 王武平, 等. 含橄榄油脂肪乳剂在食管癌患者术后肠外营养中的应用 [J]. 中华临床营养杂志, 2011, 19(2): 74-78. 杨婧, 张进祥, 郑启昌, 等. 含橄榄油脂肪乳剂在肝叶切除患者术后肠外营养中的应用 [J]. 中华临床营养杂志, 2011, 19(2): 79-83. Aoife M. Ryan, Laura A. Healy, Derek G. Power, et al. Short-term《亚太临床营养杂志》中文版 三腔袋肠外营养制剂循证医学特刊 20 nutritional implications of total gastrectomy for malignancy, and theimpact of parenteral nutritional support [J]. Clinical Nutrition, 2007,26: 718-727. Beaufrere B. Efficacite mutritionelle et metabolique de ClinOleic 20%[J]. Nutr Clin Metabol, 1996, 10: S29-S31. Jia ZY, Yang J, Xia Y, et al. 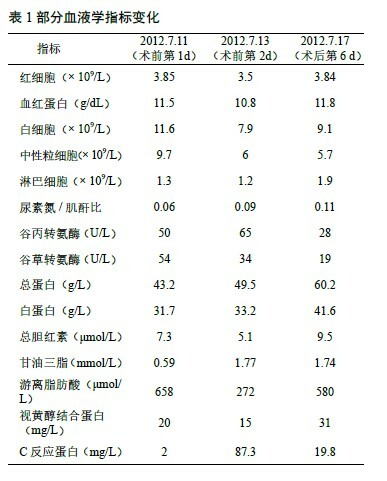 Safety and efficacy of an olive oil-based triple-chamber bag for parenteral nutrition: a prospective, randomized, multi-center clinical trial in China [J]. Nutrition J, 2015, 14(1): 1-15. 毕铭华, 王宝恩, Martina Schafer, 等. 脂肪乳对内毒素诱导急性肺损伤小鼠的干预作用 [J]. 中国危重病急救医学, 2006, 18(12): 711-715. 石计朋, 黄丽密, 钱燕, 等. 橄榄油脂肪乳对 LPS 诱导急性肺损伤 SD 幼年大鼠前炎症因子 TNF-α、IL-1β、IL-6 的影响 [J]. 实用预防医学, 2014, 21(3): 275-277. 黄丽密, 钱燕, 余震, 等. 3 种脂肪乳剂对急性肺损伤大鼠炎症和细胞凋亡的干预作用比较 [J]. 浙江医学, 2010, 32 (2): 195-197. 胡石奇, 缪智雄, 曹杰, 等. 橄榄油脂肪乳剂对胃肠道肿瘤手术后体液免疫功能的影响 [J]. 广州医药, 2014, 45(6): 20-23. Feng YJ, Browner P, Daniel H, et al. Effects on varying intravenous lipid emulsions on the small bowel epithelium in a mouse model of parenteral nutrition [J]. Parenteral and enteral nutrition, 2013, 23(7): 727-737.
functions in vitro[J]. J Parenter Enteral Nutr, 2000, 24(2): 113-118. Lukas Schwingshackl, Marina Christoph, Georg Hoffmann. Effects of Olive Oil on Markers of Inflammation and Endothelial Function—A Systematic Review and Meta-Analysis [J]. Nutrients, 2015, 7: 7651-7675. Ingenbleek Y, Bernstein L. The stressful condition as a nutritionally dependent adaptive dichotomy [J]. Nutrition, 1999, 15(4): 305-320.
future directions [J]. Intensive Care Med, 2010, 36(5): 735-749. Szende B, Timar F, Hargitai B. Olive oil decreases liver damage in rats caused by carbon tetrachloride (CCl4) [J]. Exp Toxicol Pathol,1994, 46(4-5): 355-359. Naziroglu M, Cay M, Ustundag B, et a1. Protective efects of vitamin E on tetrachloride induced liver damage in rats [J]. Cell Biochem Funct, 1999, 17(4): 253-259. 卢才教, 郭海雷, 邹红, 等. 含橄榄油脂肪乳剂（克林诺）在老年褥疮患者肠外营养的临床应用评价 [C]. 中华医学会: 中华医学会学术会务部, 2011: 177-178.